Cyclone Idai struck Malawi, Zimbabwe, and Mozambique last month. The catastrophic flooding has impacted all three countries, but Mozambique has taken the brunt of the devastation. According to the latest numbers from the Government of Mozambique, 1,000 people have lost their lives, 146,000 people have been displaced, and 1,850,000 people need humanitarian aid. 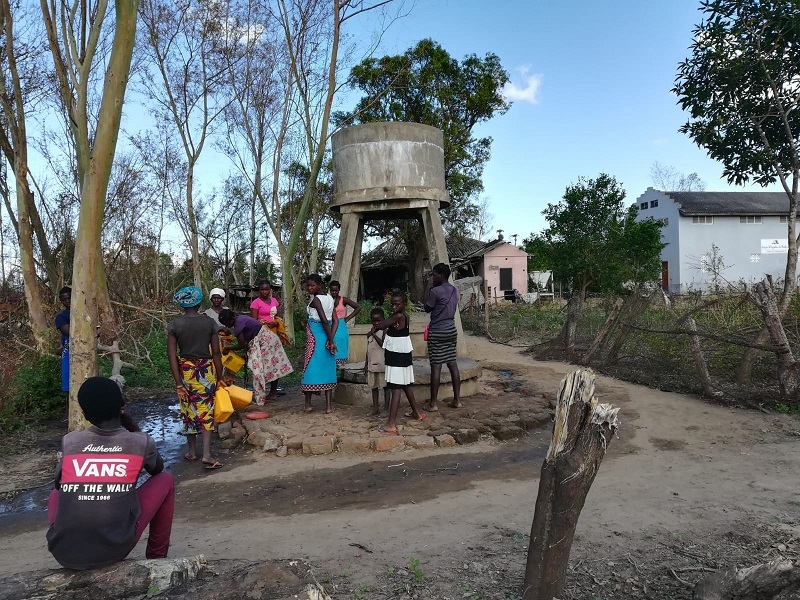 Now, as the flood waters recede, Mozambique’s National Institute for Disaster Management is attempting to return refugees to their storm-battered villages. Yet even as they try to rebuild their lives, cyclone survivors are facing a new crisis: cholera. When a community is hit with heavy flooding, serious damage to water sanitation infrastructure becomes a concern that can drastically increase the risk of waterborne illness. Right now, Mozambique is experiencing an alarming spike in cholera cases. Cholera is an acute diarrhoeal infection caused by ingestion of contaminated food or water. Between April 3 and April 5 alone, the number of cholera cases in Mozambique skyrocketed from 250 to almost 1,500. Your donations are already at work saving lives and addressing this problem. With the help of our local partner and Aquassistance, we have placed a water treatment unit that is producing safe water. But more needs to be done. With continued support from donors like you, we plan to install toilets, promote hygiene practices, and distribute soap and water purification tablets. In the coming days, another four Action Against Hunger responders will arrive to work alongside our local partner in Mozambique. Action Against Hunger Canada is proud to be the newest member of the Humanitarian Coalition, a group of leading aid organizations who come together during disasters to provide Canadians with a simple and effective way to help, through one joint appeal. By working with our coalition partners, we are able to respond quickly to international crises. Furthermore, the Canadian government is helping the Humanitarian Coalition to maximize the effectiveness of your donations. In response to the Cyclone Idai crisis, the Government of Canada announced it will be matching all individual donations to the Humanitarian Coalition and its members. Donations will be matched until April 14, 2019, up to a maximum total amount of $2 million. For four more days, your gift will have double the impact. Help us fight the cholera epidemic. Donate now to save lives.